In June, Vancouver School Board trustees voted six to two to accept BC Hydro's plan for the site, which will see the school demolished and students temporarily moved to a new facility in Coal Harbour while a replacement is built. The Vancouver School Board and BC Hydro have concluded an agreement to build an underground substation at the Lord Roberts Annex school site in the West End. In a news release, the VSB said all necessary agreements related to the sale have been completed. "I am pleased our district can move forward in building new schools with space for more students," said VSB chair Janet Fraser. "In the years ahead, VSB will continue to consult and work with our school communities, stakeholders and neighbours during construction of the future schools at Coal Harbour and the Lord Roberts Annex site," she said. In June, board trustees voted six to two to accept BC Hydro's plan for the site, which will see the school demolished and students temporarily moved to a new school in Coal Harbour. A substation will be built underground at the site and a new elementary school constructed on the same property. Under the terms of the agreement, the school district will receive a minimum of $73 million from BC Hydro for construction of an elementary school that will include child care spaces and a playing field. BC Hydro said it must replace three aging Vancouver substations to meet the city's future power needs. 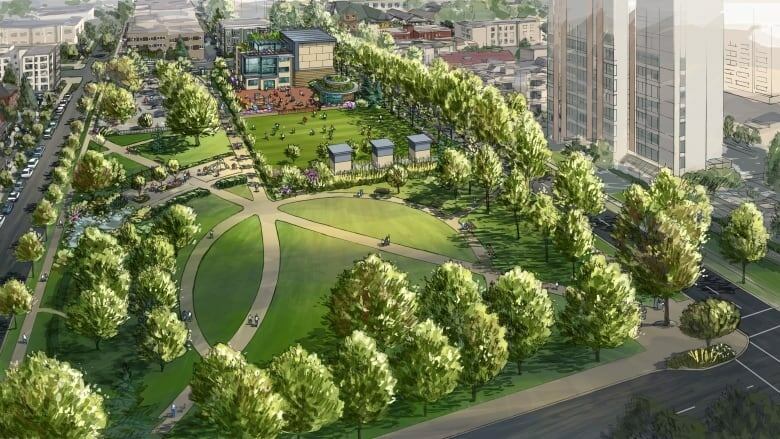 The utility pitched the plan because land above ground in downtown Vancouver is pricy and hard to find.